A 9-year-old girl and a 54-year-old man were killed in separate traffic incidents Monday evening in Prince George's County. Daichell Brown, of Clinton, died after the car she was riding in crashed in Clinton, Maryland, Prince George's County Police said. Her mother survived, and another driver was injured. The crash occurred about 5:10 p.m. as the mother of the child tried to make a left turn from Woodyard Road onto Canberra Drive, according to the preliminary investigation. Her BMW crashed with a car traveling in the opposite direction, and the BMW flipped. Brown was pronounced dead at a hospital, the mother was not hurt badly and the other driver's legs were broken, police said. No information on the cause of the crash was available immediately. Police believe the mother and child had been traveling to a relative's house nearby and that the child attended a school nearby. A man drove to the scene of the crash late Monday, said "I'm her father," and drove away. Crashes occur at the intersection about once a month, neighbor Alan Leaman estimated. 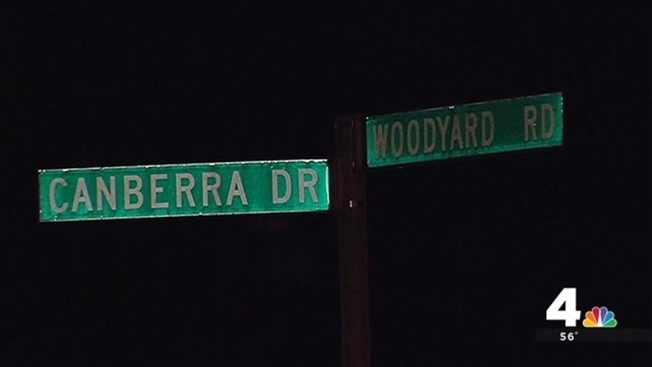 The death was the second fatal crash in Prince George's County Monday evening. A driver hit a pedestrian about 6:30 p.m. in Riverdale Park at Kenilworth Avenue and Madison Street, officials said. Juan Samora-Sanchez, 54, of Riverdale, was found in the roadway with critical injuries and was pronounced dead at a hospital. Samora-Sanchez had not been in the crosswalk when he was struck, according to the preliminary investigation. The driver remained at the scene, police said. The end of daylight saving time could contribute to an uptick in crashes, authorities said. Anyone with information on the crash that killed Daichell Brown is asked to call police at 301-731-4422. Tips can be made anonymously be calling 1-866-411-TIPS or sending a text message to CRIMES.